Why do cats come in so many different colors? Calico cats are mostly white with patches of orange and black fur. Though the pattern is always different, they almost all have something in common. 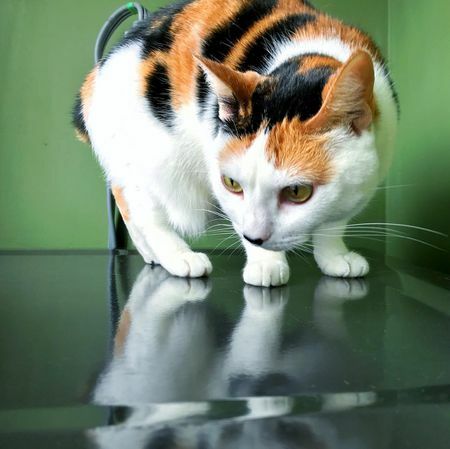 Ninety-nine percent of calico cats are female! In most mammals, females have two X-chromosomes, while males only have an X and a Y. During embryonic development, cells randomly turn on one of the two X-chromosomes. The other is kept off. This process is called X-inactivation, or lyonization! The colors orange and black on a cat’s coat are on the X-chromosome. The gene for white fur is elsewhere. A female cat with one orange and one black X becomes white, orange, and black. Male cats, with their single X-chromosome, can never be orange and black. So what does lyonization have to do with humans? Many X-chromosome linked diseases in humans, like sickle cell anemia, can be hidden by lyonization. Understanding phenomenon helps doctors track and treat diseases. As for calico cats? Thank God Youtube is in color!